Tuesday, Dec. 5, 2017, 5:30 – 7 p.m.
Wednesday, Dec. 6, 2017, 5:30 – 7 p.m.
Thursday, Dec. 7, 2017, 2 – 4 p.m.
During the open houses, community members will be able to review exhibits that describe transit and pedestrian access improvements for the 75th Street and Metcalf Avenue intersection in Overland Park, Ks. No formal presentations will be given, so the public is welcome to stop by any time during the meetings. Representatives from the planning team will be present to answer questions and discuss issues or concerns with meeting participants. 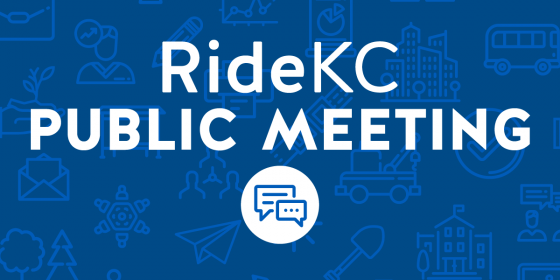 Three RideKC transit routes intersect at 75th Street and Metcalf Avenue: 401 Metcalf-Plaza, 404 Metcalf-Downtown, and 475 Quivira-75th Street. Ridership on the routes is increasing. However, access for pedestrians who are walking to and from existing bus stops, nearby businesses, and other destinations at this location needs improvement. During the December 5-7 public open houses, we will explore the range of challenges and opportunities present. The feedback we gather will help shape the final transit and pedestrian access improvement plan for the 75th Street and Metcalf Avenue intersection.